Many authors choose to relocate at some point in their career, whether to seek inspiration in a different environment or on a lower budget (well, it worked for Ernest Hemingway), or for the comfort of a better climate in retirement. As an indie author, thanks to the internet, you can write and self-publish your books from just about anywhere on the planet. Enterprising authorpreneurs who choose to move abroad will also spot that the experience provides great fodder for a non-fiction book, adding diversity to their self-publishing canon. 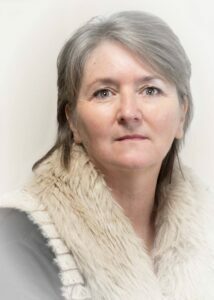 Welsh author Jean Gill, now living in France, shares her top tips for anyone planning to write and market a memoir about moving house, learned from her own experience. What would it really be like to start a new life in the country of your choice? This is your book’s essential hook for readers, with mini hooklets specific to country and situation. My memoir attracts Francophiles, retirees, others who’ve resigned from highly-paid jobs to follow their dream, and those who have moved to France and want to compare experiences. 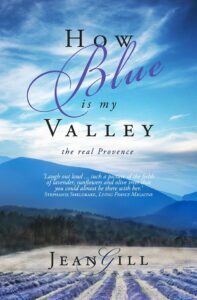 If I’d thought about that before writing my memoir How Blue is my Valley, I’d have known the ways my book could be more commercial, so my tips are very much of the, ‘Do as I say, not as I do’ variety. My memoir has sold well over 10,000 ebooks, spending a heady few months at UK amazon #1 for memoir, so I have had a lot of reader feedback. I have no idea what sparked the high sales nor why they tailed off but I do have a good idea of what makes the book attractive, and what disappoints some readers. First impressions have a freshness that can never be recaptured and your readers will love sharing your discovery of a new place and a new life. A diary is invaluable, whether private notebook or blog. Then you can revisit your writing, in peace, and structure it into a story. I do not recommend typing furiously on your laptop as your living space is destroyed by electricians, who sing, swear and make a lot of dust. Don’t be like me. Apart from detail of house-buying, food, landscape, local characters, what’s the story? Readers like suspense, a mystery to be resolved, family dramas and impending doom (that un-pends happily at the end). Choose your tense. Past tense gives pleasant reassurance; this too has passed. Present tense gives immediacy, draws the reader into your life but if you want to satisfy the reader’s expectations for a story, don’t write your life as it happens. Living in the moment is ideal; writing in the moment is not. Use that diary to re-create a sense of ‘now’ and ‘here’ but structure a story. Don’t be like me. Use that diary to re-create a sense of ‘now’ and ‘here’, but structure a story. Don’t be like me. Decide who you are, as a persona, a character in your own books. If you’re writing cosy memoir, avoid the personal angst and any rude words – that’s who you are in your blog and on social media. Your readers will be confused by a multi-genre split personality. Don’t be like the various versions of me. Readers do like personal crises, including serious health problems and inspirational outcomes. Make sure you organise inspirational outcomes for any such crises. I couldn’t be sure how things would turn out, so I wasn’t willing to share. Once again, if you’re writing after events, you can write them better. Unless selling millions of books makes you happy when forced, like Peter Mayle (author of A Year in Provence), to move from a village where every resident hates you, consider the impact on the ‘local characters’ in your book if/when they read it. Qu’elle est bleu ma vallée has just been published and my hairdressers pronounced it ‘rigolo’ (funny) and assured me I could stay living here. Phew. Where do your readers hang out? Maybe they’re house-hunting and dreaming of making the move. Before publication, I successfully pitched articles to France and Living France, with photos, and gained a wonderful endorsement for the book. They organised a giveaway for print books too. We Love Memoirs is a friendly Facebook group, which brings together authors and readers. I learned a lot there (too late) about writing memoirs and there are opportunities to promote memoirs. As always, promote others’ books that you genuinely like and good things happen for yours. Post on social media photos and anecdotes that continue the story of your life. 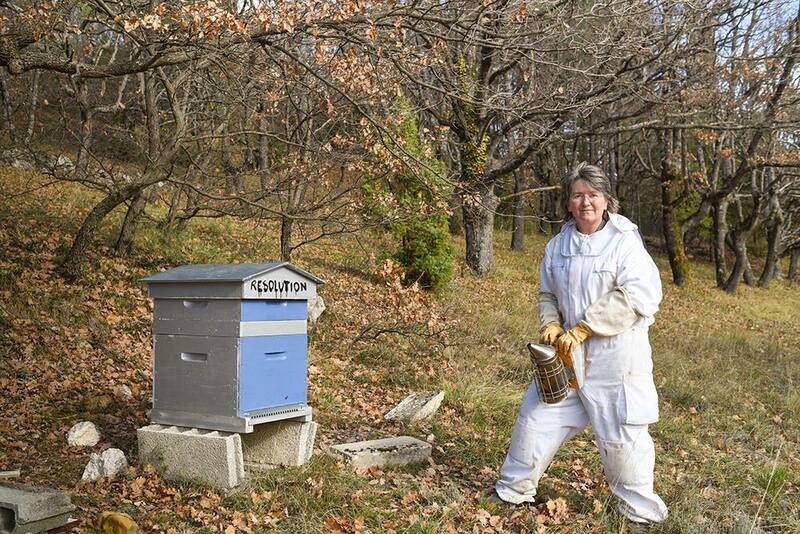 Far more readers want to know about my beekeeping than about my new novel. And I like writing about beekeeping! Memoir is a genre, and if you gain a readership, they want more memoirs from you, not historical fiction. Don’t be like me. What’s French for bees again? I wanted to write about my life as a nomad and an immigrant, about the reality of ‘settling’ in another country. The move to Provence reminded me of the move to Wales, my adopted country, so I compared the two. Some readers only want sunflowers and lavender so your best bet is to avoid references to a previous life, especially if it was in Wales. OVER TO YOU Have you any top tips on writing about relocation to add to Jean Gill’s advice? Any cautionary tales? We’d love to hear them!